Web giant Google will soon offer a new wireless service to mobile phone users in the United States that the company says will improve access to established cellular networks and millions of Wi-Fi hotspots. Google officiallyconfirmedits “Project Fi” on Wednesday, less than a day after the Wall Street Journalreportedthat the California-based corporation was close to unveiling a wireless service that could help the company gain new ground within the mobile industry. Project Fi will incorporate the cell networks already managed by telecoms Sprint and T-Mobile, Google said, but will also let users hop seamlessly from wireless internet networks while they’re on the go. “We developed new technology that gives you better coverage by intelligently connecting you to the fastest available network at your location whether it's Wi-Fi or one of our two partner LTE networks,” Google said in a blog post on Wednesday. “As you go about your day, Project Fi automatically connects you to more than a million free, open Wi-Fi hotspots we've verified as fast and reliable. Once you're connected, we help secure your data through encryption. When you're not on Wi-Fi, we move you between whichever of our partner networks is delivering the fastest speed, so you get 4G LTE in more places,” Google added. While telecoms normally force customers to purchase hefty data packages for surfing the web and other online activities, Google says that its latest endeavor will be offered through packages that begin at $20 a month. Customers will be charged $10 for each gigabyte of bandwidth consumed, and unused allocations are rolled over into the next billing period. According to a 2013 study by Validas, 60 percent of wireless data customers fell short of using AT&T’s and T-Mobile’s minimum 200-megabyte data bracket each month. “While Google may not be targeting huge numbers of subscribers, their entry into this market is very important, because it has the potential to disrupt the wireless industry in much the same way Google Fiber prompted changes in the cable and broadband industries,” Rajeev Chand, the head of research at Rutberg & Company, an investment bank, told WSJ. Sprint and T-Mobile are currently ranked third and fourth, respectively, with regards to coverage within the United States, but are along way behind the leaders AT&T and Verizon. According to Google, Project Fi will let customers of the lesser-used networks surf the web and make calls on those traditional platforms, while automatically providing backup through the use of hotspots. The project would take the burden of carrying the calls off of the telecoms’ shoulders and also potentially expand reliance on internet hotspots for services in lieu of traditional cell networks. 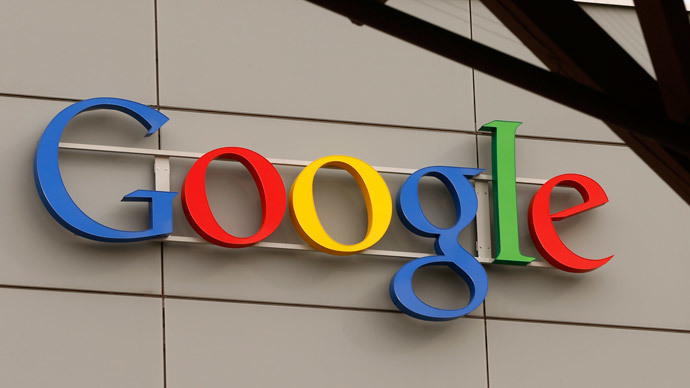 Google’s shares increased by 0.6 percent on Wednesday, following the WSJ’s article.